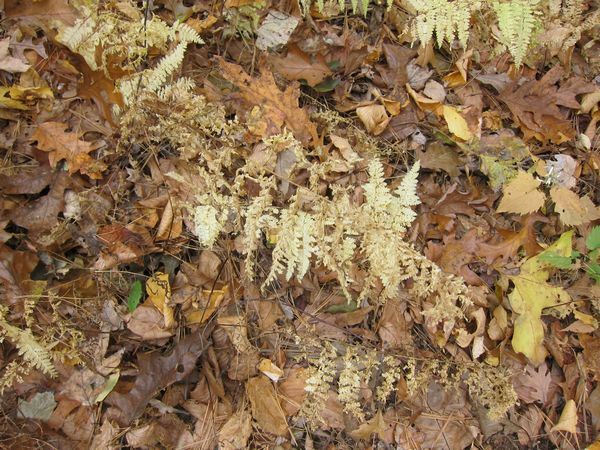 The cinnamon fern is so named for the brownish look it starts to get in the late summer and fall. 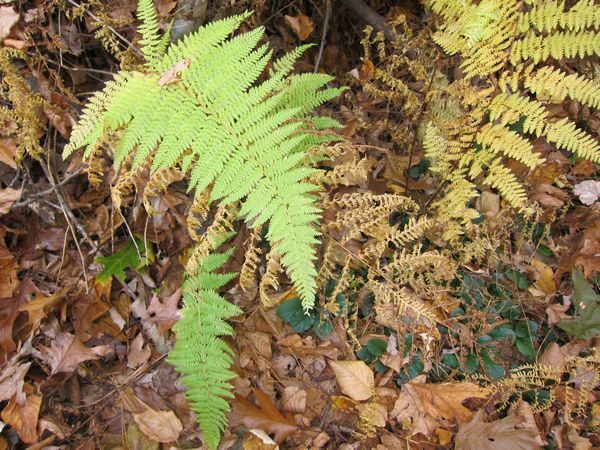 This fern is fairly bushy, with a verdant green color and delicate, lacy fronds. They grow in large bushy groupings. They are found all along the eastern US including Massachusetts. They love moist woodland areas. We have these in large swaths in our back yard, along the edges of the lawn. 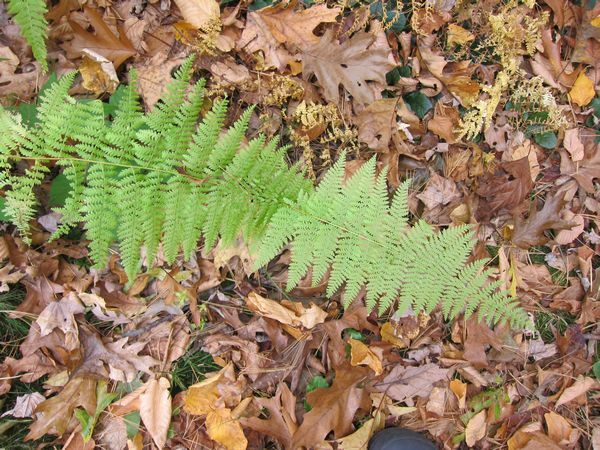 I took these photos in October, so you can see a few of the stages of the fern life cycle. There are both healthy and drying ferns in the pictures.